The recipe I’m sharing today is one of those you find all over the country in community cook books, under a few different names. 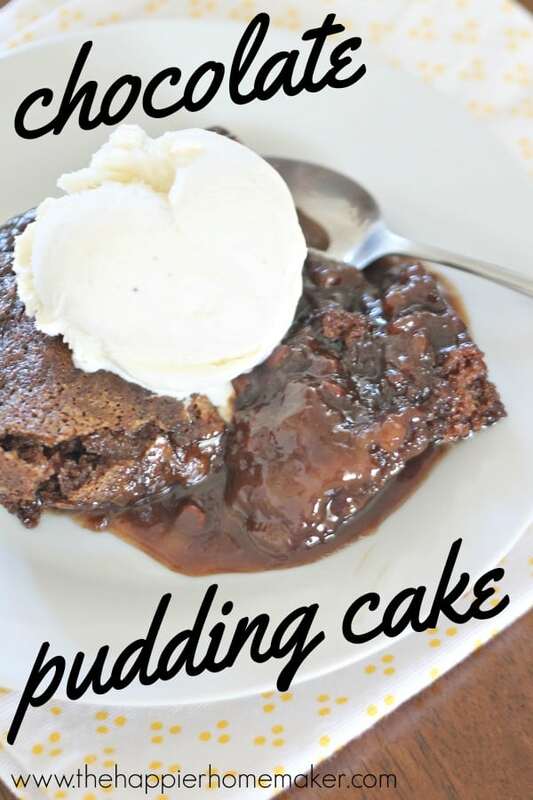 The most common name I’ve seen it given is Chocolate Pudding Cake, which is how I grew up referring to it but others call it Fudge Pudding Cake or Chocolate “Goo” Cake as well. 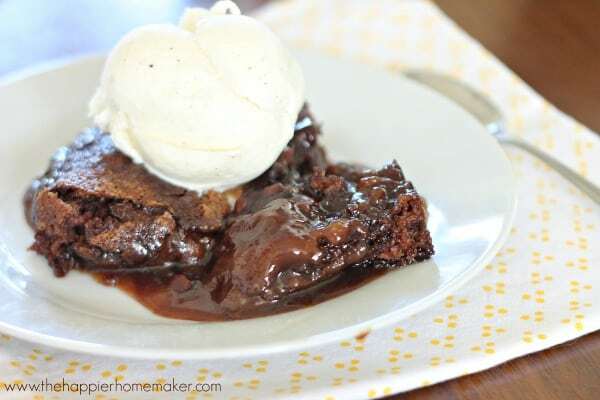 Whatever you call it, it’s heaven in a spoon-the cake has a brownie-like texture and it creates it’s own ooey-gooey syrup that’s ah-mazing! It’s also one of the easiest recipes you’ll make and you probably have everything you need already in your kitchen! Spray and 8 x 8 inch baking dish with nonstick spray. 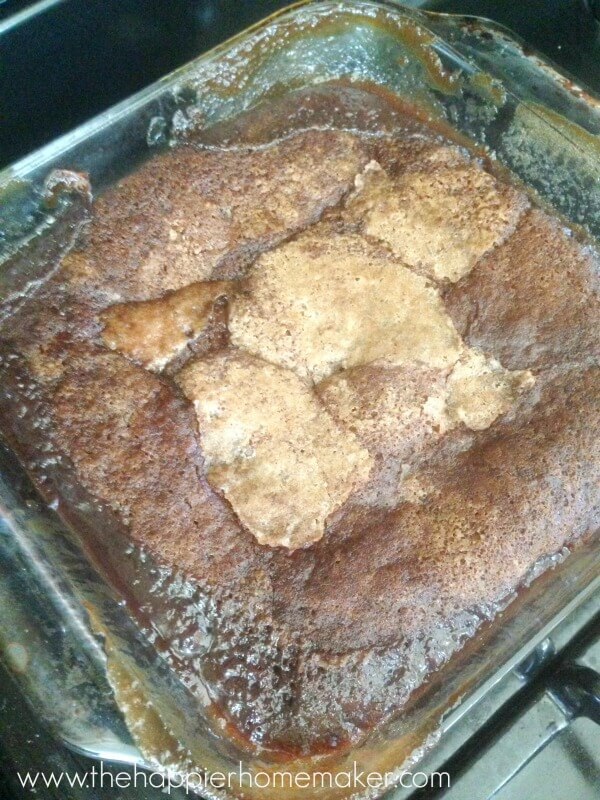 In a medium bowl, combine the flour, sugar, 3 tablespoons cocoa powder, baking powder, and salt. 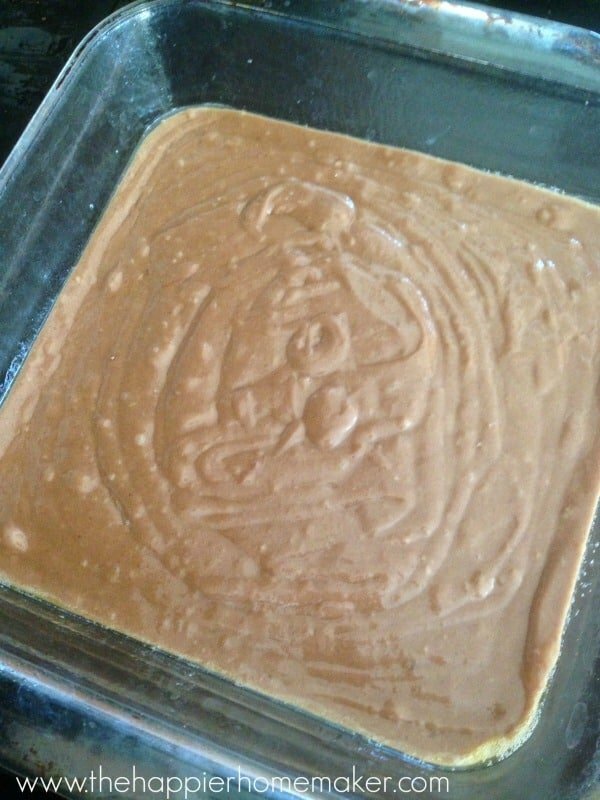 Add milk, vanilla, and melted b utter and stir to combine-the batter will be very thick. 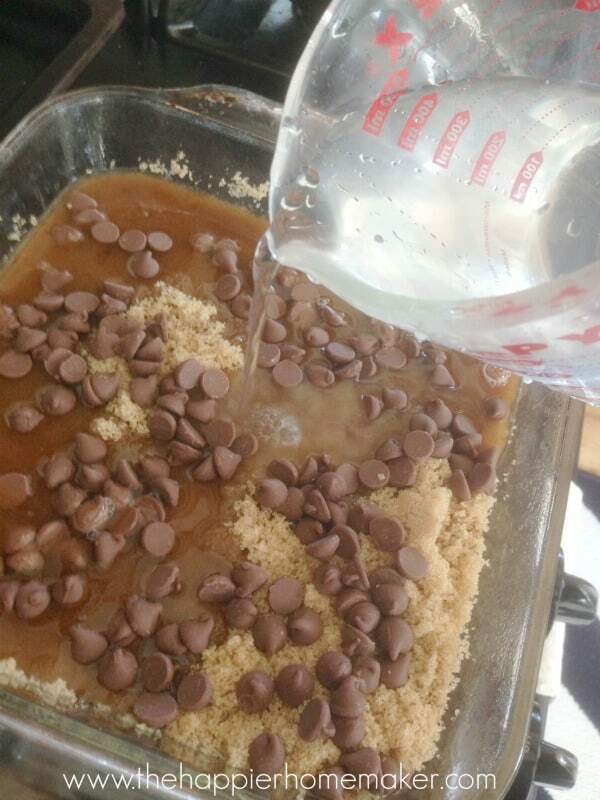 Pour into the baking dish. 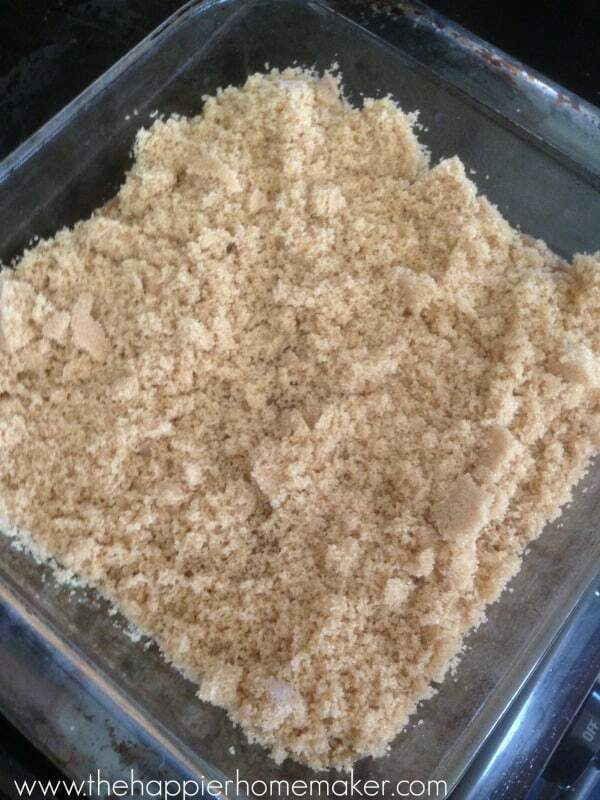 In a separate bowl, combine the brown sugar and remaining 3 tablespoons cocoa powder. 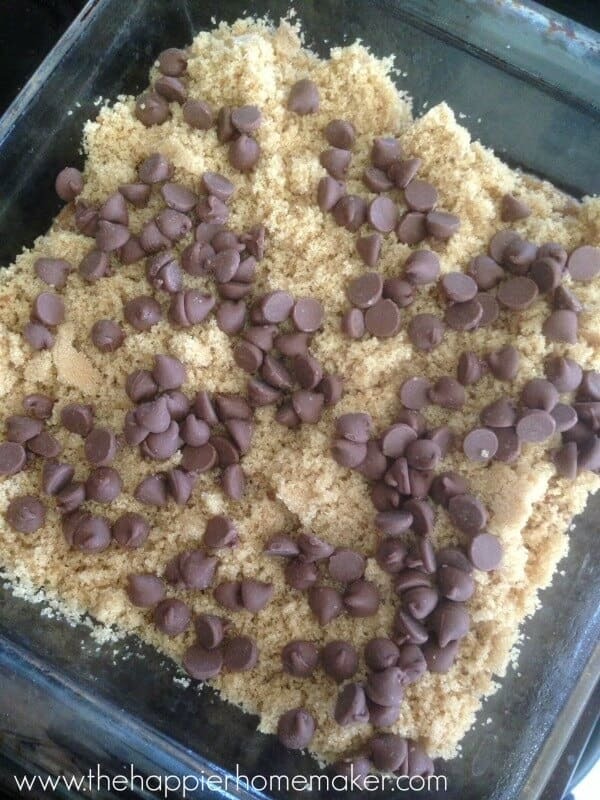 Sprinkle the brown sugar-cocoa mixture evenly over the batter, followed by the chocolate chips. Pour the hot water or coffee over the top, but do not stir. Transfer the baking dish to the oven and cook for 40 minutes, or until the center is just barely set. It’s isn’t the prettiest thing when it comes out of the oven but trust me on this one-it’s going to taste much better than it looks!! Allow to cool for 5 to 10 minutes before serving warm with vanilla ice cream or whipped cream. Have you all tried a recipe like this before? What did you call it? If you haven’t had it before and try it I’d love if you came back and let me know what you thought!